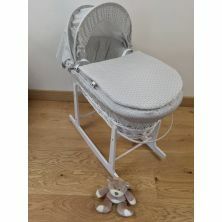 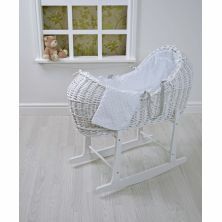 Kiddies Kingdom Deluxe Kiddy-Pod White Wicker Moses Basket-White Dimple + Free Rocking Stand Worth£25! 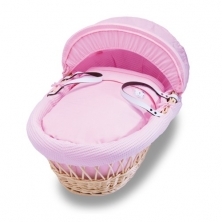 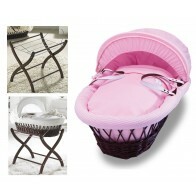 Izziwotnot Dark Wicker Moses Basket-Pretty Pink Gift + Dark Stand! 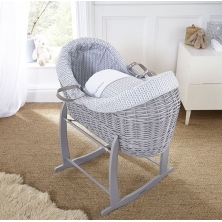 A moses basket is the perfect first bed for your newborn. 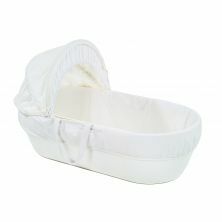 Small, snug and safe, they provide a cosy place for your little one to sleep the night away (we hope!). 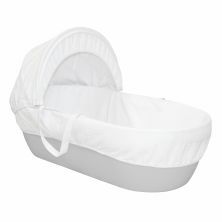 They are light enough to be moved from room to room with ease, so you can keep your sleeping baby by your side whatever you are doing. 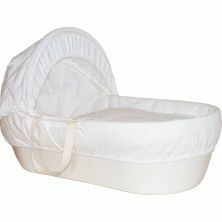 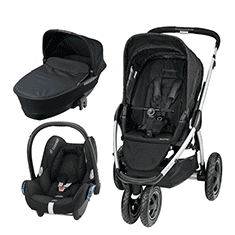 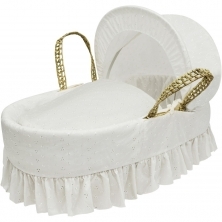 We also have a range of travel cots that are very similar to moses baskets. 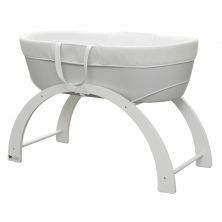 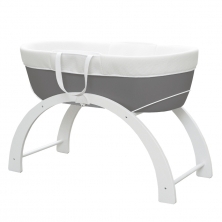 Our selection of moses baskets fits all tastes and styles, and many in our range come with a rocking moses basket stand, which allows you to gently rock your child to sleep.